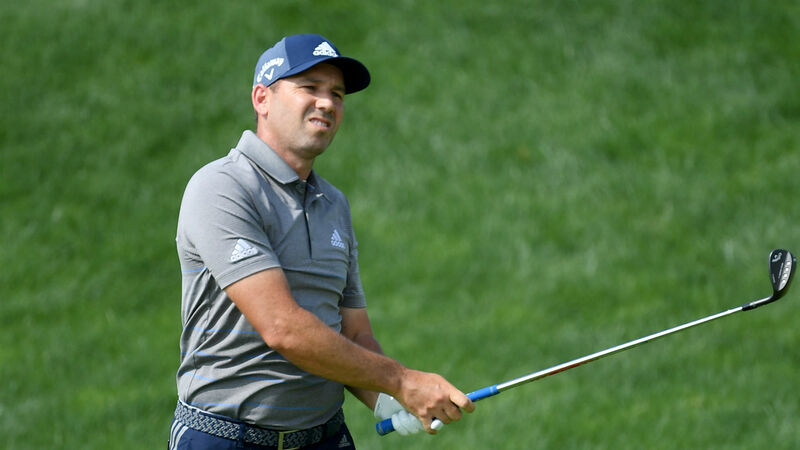 Sergio Garcia admitted he sometimes lets his emotions get the better of him after the Spaniard's behaviour came under the spotlight following his disqualification from the Saudi International. The 2017 Masters champion was guilty of "serious misconduct" after damaging more than one green in frustration while shooting a one-over 71 in the third round. Garcia faced no further consequences after being kicked out of the tournament and the 39-year-old will return to action at the Genesis Open in Los Angeles this week. He took to Instagram to address the issue, which he hopes to put behind him. "Happy to be in my first PGA Tour event of the season and have my brother on the bag again this year," he wrote. "I’ve obviously had some time to reflect and want to again say I'm sorry to my fans and fellow competitors. "What happened is not an example I want to set, and it's not who I truly am. "I am an emotional player and while I believe that's one of my biggest strengths, it's also one of my biggest flaws. "I'm focused on working hard to channel that emotion the correct way and to be the best me, learn from it and move forward. "Thanks for all the support." Happy to be in my first @pgatour event of the season and have my brother on the bag again this year. I’ve obviously had some time to reflect, and want to again say I’m sorry to my fans and fellow competitors. What happened is not an example I want to set, and it's not who I truly am. I am an emotional player and while I believe that's one of my biggest strengths, it's also one of my biggest flaws. I’m focused on working hard to channel that emotion the correct way and to be the best me, learn from it and move forward. Thanks for all the support. // Feliz de estar en mi primer torneo del PGA Tour y tener mi hermano como caddie de nuevo este año. He tenido tiempo para reflexionar y quiero pedir disculpas a los aficionados y a mis compañeros. Lo ocurrido no es un ejemplo de lo que quiero ser y no transmite lo que verdaderamente soy. Soy un jugador pasional y al mismo tiempo que es uno de mis puntos fuertes, también es, a veces, mi punto débil. Estoy centrado en reconducir esas emociones, en aprender y mostrar lo mejor de mi. Gracias por todo vuestro apoyo.